Add value to your network. Earn income. Join our ambassador program and receive a commission by referring others to The Mindful Wealth Movement products. Our Ambassador Program is free to join and open to anyone passionate about well-being, and who has a desire to help others build a healthy financial future. If you enjoy our range of inspirational products, courses, workshops and retreats and would like to spread abundance within your own community, we would love to partner with you! a few more details - how does it work? 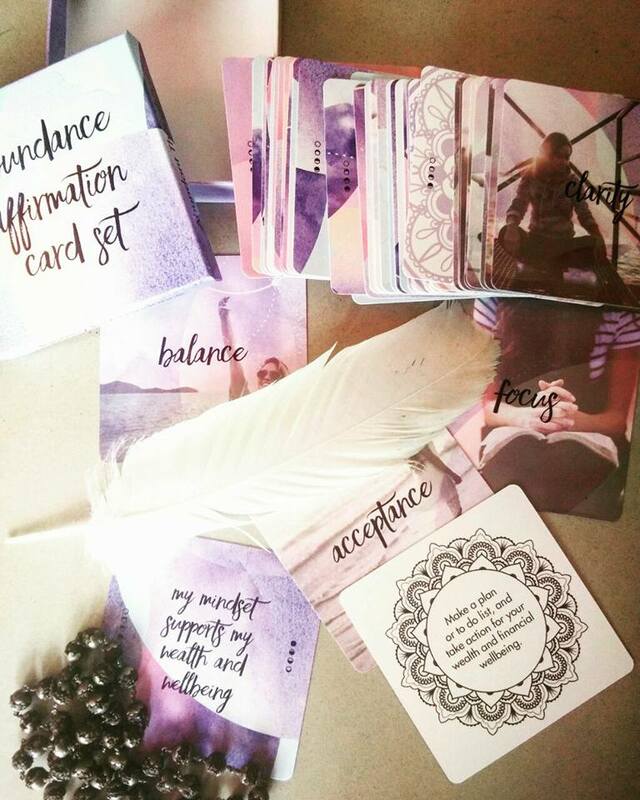 Our Ambassador Program is launching with just one product to begin - our new Abundance Affirmation Cards. If you are interested in promoting this inspiring set of Abundance Affirmation + Intention Setting Cards designed to develop a positive money mindset and empowering money habits, please apply using the form above and wait for approval. We'll send you a link to promote and share. When someone you refer buys one of our Abundance Affirmation Card sets via your link, you'll earn an affiliate commission for the sale. Simple! We take care of collecting payment, sending the product to the customer etc. Your role is simply to spread the word! Thank you for your interest in supporting others on their path to abundance and financial wellbeing.